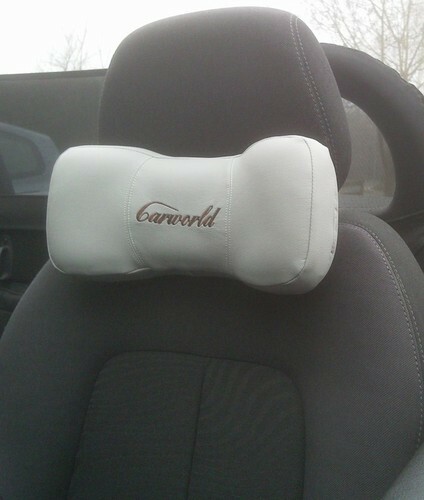 NECK / BACK SUPPORT FOR DRIVER / PASSENGER WITH ELASTICATED HOLD FLAP BUILT IN SIMPLY CLIP ON BEHIND YOUR CAR HEAD SUPPORT FOR PASSENGER OR DRIVER SIDE (OR BOTH) VERY COMFORTABLE AND A MUST FOR LONG JOURNEYS! AMAZINGLY USEFUL ITEM SPECIAL ANTI STATIC LEATHER TYPE MATERIAL - DOES NOT STICK TO HAIR OR CLOTH, AND EASY CLEAN ! CONTAINS A PRE DESIGNED MICRO DENSITY SPONGE WHICH WILL KEEP ITS SHAPE ! A MUST FOR EVERY CAR! SUPERB NEW IDEA WHY NOT BUY TWO AT A POSTAL DISCOUNT!! WE DO RECOMMEND TWO BOUGHT TOGETHER AS IT DOES BALANCE THE CAR AND TRULY ENHANCES THE INSIDE DECOR OF YOUR CAR! BUY A FEW FOR GIFTS TO FRIENDS / FAMILY CAN BE USED ON CARS , LORRYS, SUVS, BOATS, PLANES , EVEN AT HOME ON SOME SOFAS/CHAIRS A NICE QUALITY PRODUCT WITH A NEUTRAL COLOUR WHICH MATCHES WITH ALL COLOURS IMMEDIATELY ENHANCES YOUR CAR , A CONVERSATION POINT WITH A WOW EFFECT ! 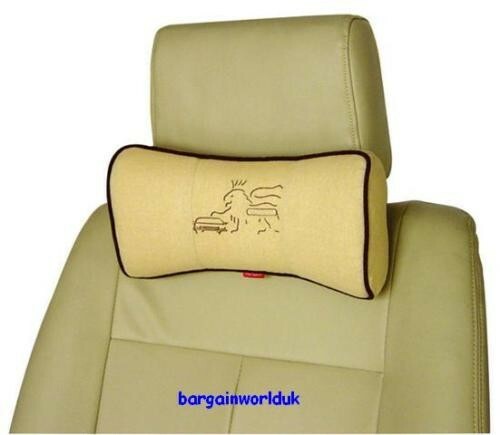 WE WILL POST IT IMMEDIATELY - BUY FROM A REPUTABLE AND RELIABLE SELLER CAR RIGHT - BARGAINWORLD UK EXCLUSIVE PRODUCT ! BRAND NEW - SAME DAY DESPATCH! ONE OF THE BEST VALUE FOR MONEY USEFULL BUYS YOU WILL EVER HAVE BOUGHT ON INTERNET! Now available in Beige, Grey or Black, please state your choice, if no choice stated Beige will be sent.